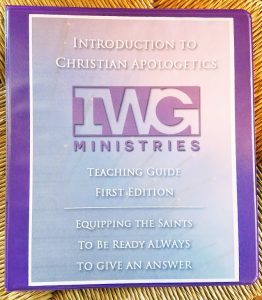 Our First Edition Introduction to Apologetics is available! 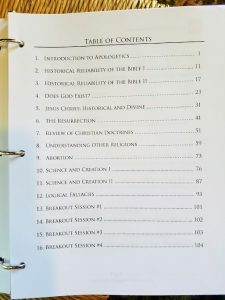 The contents include 111-page teaching notes and a corresponding 111-page student study guide along with artwork for a 1″ 3-ring view binder. Please use the contact page to request your copy.